Everyone is someone else's oddball. It's all relative. 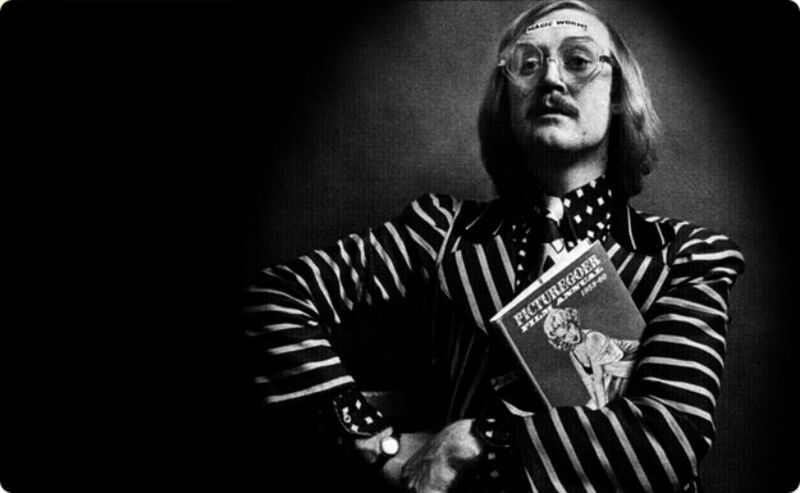 In 1977 Bonzo Dog Doo-Dah Band singer, musician, frontman, radio presenter writer and all-round eccentric Vivian Stanshall lived bought a submarine as his new home and moored it on the Thames between Chertsey and Shepperton, but one day, as he was leaving, probably after having had a couple of drinks, forgot to turn the right valve, and when he returned, it had sunk with all his possessions. But he’s not alone. That might just seem normal to Aphex Twin, who himself owns a submarine, drives a tank and lives in a old bank. The film director David Lynch’s favourite hobby is collecting mouldy sandwiches. Beach Boys main man Brian Wilson refused to bathe because of a fear of water, and thought the only way to record the album Smile was do do so in sandpit, forcing the entire orchestra to wear fire helmets. Paradoxically for a topic such as this, none of them are alone. Nor is anyone who, reading this, is visiting the Song Bar. 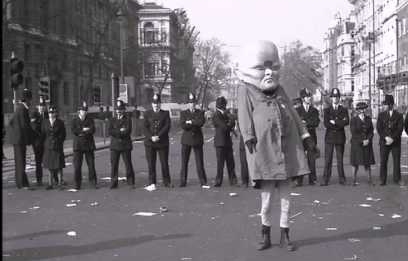 So this week we are going to delve in the colourful world of songs about oddballs, outsider and outcasts. Are songs by oddball artists also about such people? Perhaps so, because much art is about oneself, but it could be just as possible to have songs about unusual people by apparently straight people, or vice versa. Curiosity, obsession, intelligence, being outspoken, knowing you are different from an early age, a sense of mischief, and a lack of inhibition are also all key characteristics that can be identified in eccentric performers and their work. So perhaps a starting point is to look for songs about oddballs or outcasts from any sphere in life, from art, history, politics, public or private life. Perhaps one of the best known books on this subject is Colin Wilson’s The Outsider, first published in 1956. This massive seller focused on figures including H. G. Wells, Franz Kafka, Albert Camus, Jean-Paul Sartre, T. S. Eliot, Ernest Hemingway, Harley Granville-Barker, Hermann Hesse, T. E. Lawrence, Vincent van Gogh, Vaslav Nijinsky, George Bernard Shaw, William Blake, Friedrich Nietzsche, and Fyodor Dostoyevsky. Most of these have cropped up in songs, particularly William Blake, whose visionary art, poems and lifestyle, from nudism to challenging the church and espousing free love, put him as present in the 1960s as in the early 1800s. William Blake. No briars could bind his joys and desires. Eccentricity can certainly be a life force, a drive to be different, a restless river of creativity. Songs about, or at least those who inspire them is something I’ve written about elsewhere, but as they didn’t pay me for it, I’m going to eccentrically revisit some of it here, and it is such a rich topic, it will no don’t yield many new joys. But first let’s hear more from that barkingly brilliant force of nature that was Don Van Vliet, aka Captain Beefheart, inspiration to so many, from Tom Waits to Julian Cope. The people in this topic are not sheep, and go their own way. They might include Bjork, Michael Jackson, Lady Gaga, Prince, Frank Zappa, who named his children Moon Unit, Dweezil, Ahmet Rodan and Diva, Kevin Rowland for cover photo of the album My Beauty, or Lee ‘Scratch’ Perry, whom I recently had the pleasure of seeing at a festival, with a feather on his microphone, a candle on stage, along with his suitcase so he could keep and eye on it, ready for a quick getaway. In the past he’s also known for unorthodox studio techniques – walking backwards, baptising locals with a garden hose and worshiping bananas. Wonderful. 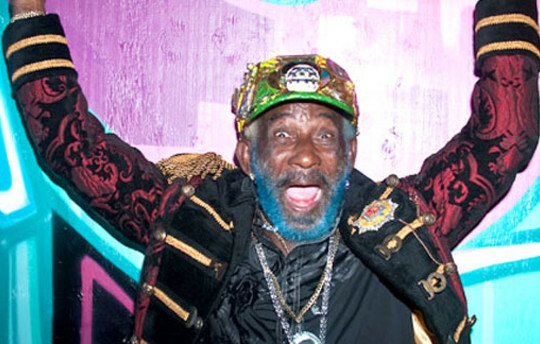 Lee 'Scratch' Perry. Going backwards to go forwards. Ukelele-playing oddball Tiny Tim, who tiptoed into success in the 1960s, lived on a diet of sunflower and pumpkin seeds, bathed five times a day and brushed his teeth with papaya juice. He also married a 17-year-old fan when he was in mid-40s – and still living with his parents. Hey, why not? Yet even those who have since seemed entirely in control of their lives have had their very odd periods. David Bowie and Iggy Pop went through troubling times in the mid-70s, fuelled by cocaine and heroin. Iggy spend a whole year eating nothing but German sausage, but hey, if you’ve even had them in Berlin, they are good. Do your wurst, he probably thought. And Bowie, around the time of Diamond Dogs, spent a period surving only on pepper and milk, and hiding his own urine in the fridge because he was convinced a wizard might steal it. You are what your eat, and drink, I suppose. But we can also turn to older oddballs who may still rank as up there with the best. "I am not eccentric. It's just that I am more alive than most people. I am an unpopular electric eel set in a pond of catfish," protested the perfectly normal poet Edith Sitwell, who just happened to dress in turbans and black velvet embroidered with gold lions and unicorns. In 1922, in her cut-glass accent, she performed a series of abstract poems through a megaphone protruding from a huge head painted on a curtain that concealed her and a seven-piece jazz band. Is eccentricity particularly English trait, and if so, why? There is undoubtedly a rich history of it from these shores. Classical composer, novelist, artist and aesthete Gerald Tyrwhitt, also known as the 14th Baron Berners (1883-1950), kept pigeons. Nothing odd about that, except he also dyed them all in vibrant colours, took afternoon tea with his pet giraffe, kept a clavichord in his Rolls Royce and built a 100ft viewing tower in his garden. Theologian Francis Henry Egerton, the 8th Earl of Bridgewater (1756-1829) regularly gave dinner parties for dogs, dressing them up the in fashions of the day. He also wore a new pair of shoes every day and lined them up as a method of measuring time. Perhaps though palaeontologist and theologian William Buckland (1784-1856) beats them all. He kept hundreds of animal specimens in his house, on many of which he liked to dine (and force upon guests), including mole, bluebottle, panther, crocodile and mouse. He was so voracious, when shown the heart of a French king (believed to be that of Louis XIV) preserved at Nuneham in a silver casket, he simply could not hold back his curiosity, and to the astonishment of all present, gobbled the precious relic straight up. Vast wealth, and time to pursue interests, pleasures or obsessions has certainly been a catalyst for some eccentrics. America's Howard Hughes is certainly a prime example. And among musicians, the antics of the Who's Keith Moon and actor friend Oliver Reed, among other hellraisers, are well documented. And then there are others kinds of British eccentrics, such as the sparkly eyed actor and mountaineering enthusiast Brian Blessed, surely one of the most energetic an unusual men alive. But now let’s also turn to outsiders and outcasts and their equally paradoxical relationship with public life. Outsiders, it has been said, have more insight that insiders. And that includes immigrants, people new to a job, a new face, coming from another place, with a fresh perspective, but how long do outsiders stay that way, in politics, the creative industries or any other profession? "Everybody think they're an outsider – that word's over! When I was young, being an outsider, I thought it was a bad thing you didn't want to be." “Hey! Well I never fit in. I am a true alternative. And I love being the outcast. That's my role in life, to be an outcast,” shouts Meat Loaf, ordering a beer or four. Some though, are definitely outsiders. “I get a kick out of being an outsider constantly. It allows me to be creative,” was one of the most normal and sincere utterances by the standup Bill Hicks. In a wider context, history has placed huge majorities of society as outcasts and outsider - by race or gender. Women writers specifically... are the ultimate outsiders,” says the writer Janet Fitch. She certainly has a good point, with many examples to think of such as Mary Anne Evans, who of course published under the name George Eliot. Who knows what we want too, but for now let’s have songs about oddball, outsiders and outcasts. Make sense of this nonsense, and making music out of this madness, I’m delighted to say our skilful and sane hands on the Song Bar pumps below to the wonderful AmyLee! Place your songs in comments below with the deadline on Monday 11pm UK time, for playlists published next Wednesday. Oddball? Outcast? Outsider? Welcome inside, everyone.